Recently I’ve been interested in the question: how to paint so that the painting would give such strong feelings as the music of Bach or Schnittke? It is the problem I try to solve when I paint my pictures – how to fully express with paints the things that give rise to my emotions. How to express the full variety of these feelings turns out to be what is most difficult. It can be silent contemplative joy, nervous waiting or union of beauty and dramatic effect. That’s why beauty and convergence with nature for me are only some of the means of expression and the revelation of the image. Have you noticed how weather influences your mood, how objects hold memories about what they were associated with, how the world around us influences our emotions, senses, feelings? Compare your mood when warm sunbeams wake you up with when the whole sky is clouded over and rain is pattering on the windowsill. In this sense nature is a splendid figurative method. All I have to do is use it right and to combine it with all the other, no less significant expressive methods, that I control, which will help me to convey exactly what I want to share. I want to deal with such paintings, in contact with which a wave of searing pain will rise to the throat or feelings of joy or peace will overflow; that a viewer, seeing my picture, will live through it with me as its author and performer. Daniil Belov was born in Moscow, 1987. He is a member of International Federation of Artists & national Artist’s Union of Russia. Daniil is ph.d. in art education. Postgraduated from the Institute of Art Education, Russian Academy of Education. He graduated from Stroganov Moscow State Academy of Arts and Industry. Artist also graduated from Moscow State Comprehensive School №1188 with specialization in arts. “Abstraction within realism”, the museum “Integration” named after Ostrovsky, 18 september – 4 october. • “Open Lesson“, the Central House of Artists, Moscow, 20 April – 10 May. • “Eighteenth Annual Boston International Art Show“. 13-16 November. • Exhibition in the Institute of Art Education September. • “Main Line” – Gallery Cultproject. 17 – 30 April. • Link of Time. 28 February – 9 March. • “Native expanses” – Stroganov Moscow State Academy of Arts and Industry. 9 – 19 December. • “Young Russia” – The Moscow Academic Art Lyceum of the Russian Academy of Arts. 1 – 22 April. • “Process” – XVI Moscow International Art Salon, the Central House of Artists. 1 – 10 March. • “Educator – artist” – Moscow Museum of Education. 29 November 2012 – 16 January 2013. • “Plein air” – Kostroma State United Art Museum, Kaluga Regional Art Museum. • “A wonderful time” – The State Show-room “Nagornaya Gallery”. • “Travels” – the Art Museum of Ploiesti, Bucharest Economic Academy within the context of the Days of Russian culture in Romania. 15 – 24 November. • “Ways and Roads” – XV Moscow International Art Salon, the Central House of Artists. 16 – 25 March. • “The Young Palette of Russia” – The Central House of Artists. 17 – 30 January. • Personal exhibition in the hall of friendly association of Novosibirsk in Moscow. October. • “Light to the Whole World” – The State Show-room “Nagornaya Gallery”. 24 February – 20 March. • “We are 15” – The Central House of Artists. January. • “The Young Palette of Russia” – The State Show-room “Nagornaya Gallery”. April. • “My Country – Russia” – The Central House of Artists. January. • “Succession” – The Academy of Management of the Interior Ministry of Russia. May. • “Around the native country” – The Culture Center of the Military Forces of Russian Federation. April. • “The Young Palette of Russia” – The Central House of Artists. September. • “Stroganov’s traditions” – Moscow city Duma. • “The Dialogue of the Two Capitals” – Moscow city hall. • National Artist’s Union of Russia. The youth movement 20 years. Moscow: ArtComintern. 2015. • Belov D. Image interpretation in pictorial art. Theatre. Painting. Cinema. Music. Moscow: Russian University of Theatre Arts – GITIS. P. 125-133. 2014, № 3. • Kultproekt. Main Line. Moscow: Geoproektizyskaniya, Kultproekt. 2014. (About the problems of the identification of artistically gifted teenagers). Pedagogics of arts: electronic science journal. 2014, № 1. • Russian Academy of Arts, Youth movement of national Artist’s Union of Russia. Plein air 2013. Moscow: ArtComintern. 2013. • Russian Academy of Arts, Youth movement of national Artist’s Union of Russia. 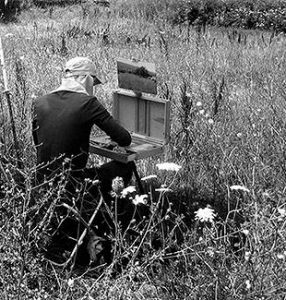 Plein air 2012. Moscow: Russian Academy of Arts, Youth movement of national Artist’s Union of Russia. 2013. • Art Center “Heart of Art”, Russian Embassy in Romania, Lukoil. Exhibition of Russian contemporary art “Traveling”. Bucharest: Russian Embassy in Romania. 2012. • Belov D. Introductory article. Aleksey Timoshenko. Moscow: SOYUZ-Media, p. 6. 2012. • Belov D. Artistic interpretation of reality at painting classes. Schools of sciences pedagogics of arts in contemporary education. Moscow: Federal State Research Institution of the Russian Academy of Education «Institute of Art Education», p. 181-184. 2012. • Youth movement of national Artist’s Union of Russia. Young palette of Russia. Moscow: Comintern. 2012. • Belov D. Autobiographic article. My Siberia, p. 60-63. 2011, November. • National Artist’s Union of Russia, Russian Academy of Arts. Ars longa. Moscow: Guidmark. 2010. • National Artist’s Union of Russia. The youth movement 15 years. Moscow: ArtComintern. 2010. • National Artist’s Union of Russia. Moscow 2008. Moscow: National Artist’s Union of Russia. 2008. • Young palette of Russia. International children and youth creative contest “My country – Russia”. Moscow: Young palette of Russia. 2008.
International Union of Creative Youth. Young palette of Russia. Moscow: Comintern. 2006.